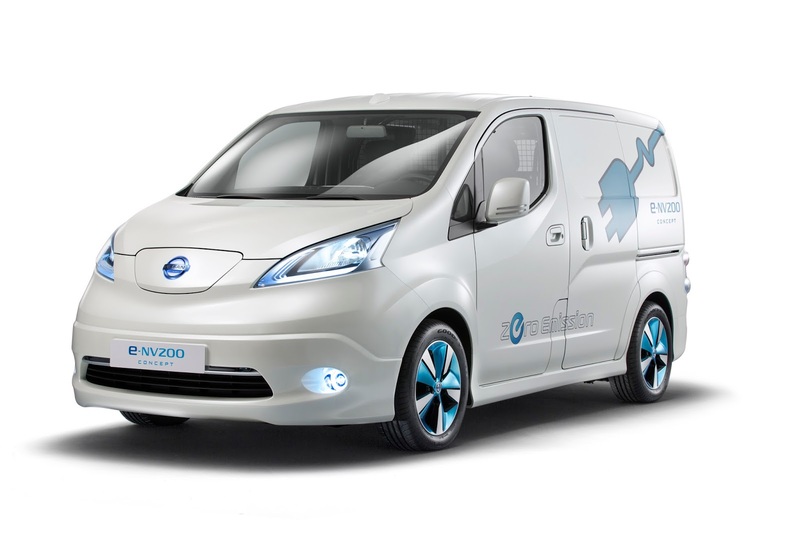 Nissan is in the final development phase of its second mass production zero emission vehicle, the e-NV200 compact van. Electric vehicles are ideal for urban delivery applications, and this vehicle is envisaged for use as a delivery van that offers a breakthrough type of mobility for entrepreneurs, featuring efficiency and green consciousness. Feedback will help Nissan adapt future battery-powered light commercial vehicles to better fulfill exacting customer requirements. The 100% electric compact van, e-NV200, is scheduled for launch in 2014. As Nissan’s second global electric vehicle, it follows Nissan LEAF, the world’s first affordable 100% EV for the mass market. In addition to further reinforcing Nissan’s zero-emissions leadership, the launch of the e-NV200 represents significant innovation in the commercial vehicle market. The model offers all the spaciousness, versatility and practicality of its base vehicle, the multipurpose commercial van NV200. It delivers advanced performance that can only be achieved through the powertrain of the Nissan LEAF. The e-NV200 provides exceptionally smooth acceleration and quietness, driving characteristics that are unique to EVs, while emitting no CO2 emissions at the point of use. e-NV200 displays great potential for businesses, with its advanced telematics system and power-supply function in the cargo compartment. Also, the model's enviable running cost – a priority for most companies – will be highly attractive when competing in the commercial vehicle marketplace. "The e-NV200 will offer all the spaciousness, versatility and practicality of a traditional diesel or gas-powered compact van, but with zero CO2 or other pollutant emissions at the point of use. What's more, it will provide an outstanding driving experience that is unique to EVs. e-NV200 represents a bold and innovative addition to our commercial vehicle range, which is already one of the broadest of any manufacturer," said Hideto Murakami, corporate vice president, Nissan Motor Co., Ltd. When e-NV200 production begins it will become Nissan's second zero-emission vehicle, but the company is already investigating further innovative ways of harnessing its world-leading EV technology in the commercial vehicle market with the e-NT400, which is a light truck based on the European NT400Cabstar, known as NT400 Atlas in Japan. The e-NT400, still in its development phase but with plans for production under study, uses Nissan LEAF running gear to create a zero-emission 100% electric vehicle. Like e-NV200, e-NT400 would be able to enter city areas denied to conventional vehicles powered by diesel or petrol engines, while its near-silent running means it could operate around the clock as it creates no noise or emission nuisance. Low running costs would make e-NT400 a breakthrough business proposition, while the high output, high capacity lithium-ion battery powering the 80kW electric motor gives smooth, vibration-free acceleration for a completely unprecedented driving experience. With a cruising range of 87 miles (140 kilometers) in NEDC mode, and the availability of fully integrated Quick Charging potential - allowing the battery to be charged to 80 per cent capacity in just 60 minutes - the e-NT400 has the potential to make a serious contribution to lowering CO2 emission in cities. At the same time, it will increase productivity and lower running costs for operators. Hideto Murakami, Nissan corporate vice president responsible for the Global LCV Business Unit, said: "As well as e-NV200, Nissan is developing a number of vehicles that adapt a diverse range of EV technologies. We want to explore the potential of EV technology in the light commercial market to diversify the value that Nissan's commercial vehicles provide to businesses."